The 1st OST for tvN’s drama series Shut Up Flower Boy Band is released on February 6th, 2012. 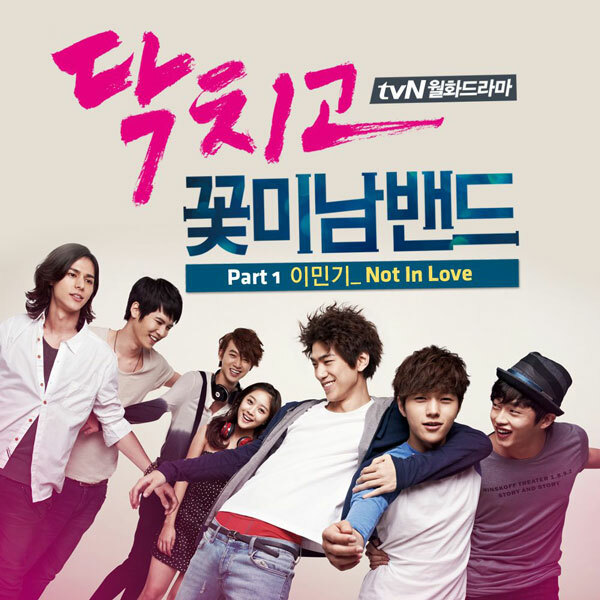 The Shut Up Flower Boy Band OST part 1 includes the song named with the title of Not In Love. Not In Love is sang by Lee Min Ki (이민기), the actor whom personally guest starring in the drama to make special camera appearance in the first two episodes. Not In Love is based on originally song by Crystal Castles which also features Robert Smith of The Cure. Listen to Lee Min Ki’s version of Not In Love in YouTube.